Our Seller Information section will walk you through the 10 Steps to selling your home. You will learn about pricing your home to sell, negotiating to make the sale, and much more. It is important to set out in writing the reasons that are motivating you to sell your current home. You might ask yourself, “Why am I selling my home and what do I expect to accomplish?” If you have a growing family and you need more space you may be under less pressure to get your house ready to sell than if you were, let’s say, moving to a new city due to a career opportunity. Explore your short and long term goals and decide how selling your house fits into those goals. Doing this will help you to establish a time management path for selling your home. Your agent can save you time and money by applying their expert knowledge to your particular needs and setting a realistic time frame for the process to proceed. They can explore all of the variables within your individual goals and how best to achieve them in your local real estate market. Your next objective should be to determine the best possible selling price for your house. You will need to take into account the state of the local market, the condition of your home, and sales of comparable homes in your neighborhood. It is often hard to maintain an non-biased view of your property, so you will want to gather the necessary information in the most objective way possible. If you want a truly objective opinion about the price of your home you could have an appraisal done. This will need to be paid for up front, in cash, and may cost between three and five hundred dollars. Your agent can save you time and money by educating you on how to set the asking price for your home. He or she will create a comparative market analysis by taking into consideration the type of market you are in and recent sales of comparable properties. Your agent will then guide you to the best fair market price that will help sell your house within the desired time frame. Usually, real estate agents have a better sense of market value than anyone else- including appraisers! It’s time to get your house into “showing and selling” condition. Most of us don’t keep our homes in the condition it would need to be in to sell. Over the years those boxes in the corner of the garage just seem to multiply on their own. Things have broken that we just never get around to fixing and some things have just worn out. We just accept the fact that they will always be this way. It is this frame of mind that you have to break out of in order to get your house ready to show. How your house looks will have an immense impact on how quickly it sells and whether or not you get full market value for it. First impressions are very important and you only get to make one. Approach your property from the buyer’s standpoint. What needs to be changed to make a good first impression? This may mean that all you do is prune the trees and shrubs. On the other hand, it may mean that you completely repaint the house, inside and out. Do a “curb to door” check. Give the potential buyers a clear path to enter the home. The fewer obstacles between the buyer and the true appeal of your house the better. Keep in mind that over time we become accustomed to our surroundings. What’s normal for you may be detrimental to the buyer. Make your house look as spacious as possible. Organize your closets and kitchen cabinets, and if you have things stored in the attic or basement, make sure they are presentable. If you are showing during the day, pull back your curtains and drapes to show how bright and cheery your home is. 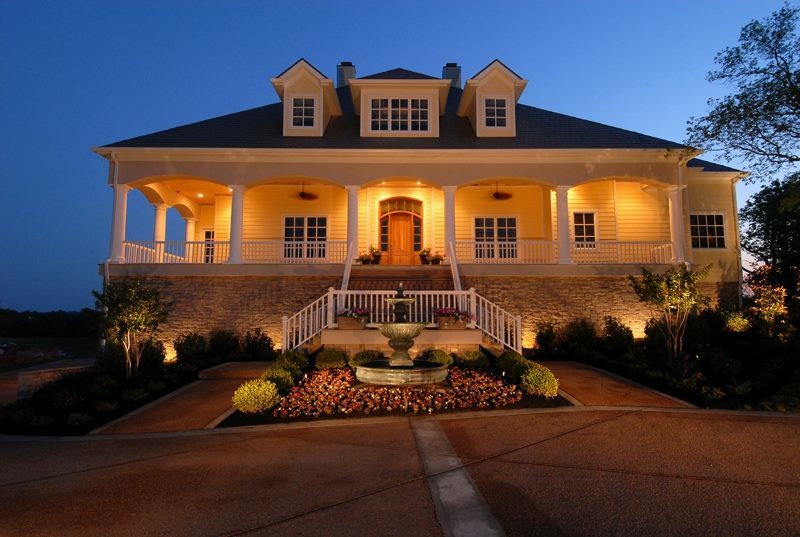 If you are showing at night, turn on all of the lights to create a warm and welcoming environment for the prospective buyers. A house that is marked with your personality and style may be harder to sell. You might even consider such things as removing obvious clues to your political affiliation and tucking away any biased literature that may be visible. This will reduce distractions and help the buyers to visualize the home as their own. Your agent can save you time and money by providing an objective and expert opinion on what needs to be changed or improved. They know what the buyers are looking for because they are in the marketplace everyday. They will perform an analysis of the entire property and, taking into account the state of the market in which you are selling your house, point you to the changes that need to be made in order to sell it for the most amount of money and as quickly as possible. Now that your house is ready, it’s time to put it up for sale and market it. Establishing a marketing strategy is a must. You will have to decide how you want to get the word out there that your house is for sale. There are many different ways to advertise your property. A yard sign, flyers, and direct marketing are just a few of the many options you have. The path you choose will depend on the money you have to invest, which program will bring the most potential buyers, and your comfort and experience level with each of your options. If you are in a buyer’s market you will have to be extra careful when choosing a plan. You don’t want your house to sit with no one showing interest. The first 3-6 weeks should be the busiest. If you don’t get any traffic within that time frame, you may want to reconsider your approach. Your agent can save you time and money by exposing your house to the most potential buyers possible. Your agent will present to you the best marketing plan that will have the highest possibility of bringing not only the most buyers, but the most qualified buyers, to your doorstep. Remember that the legalities of this phase are very important. If you have any questions or concerns, they need to be addressed right away. Your agent can save you time and money by making sure that the offer is presented to you by a qualified buyer. There is no reason to review an offer if the person(s) making it will not be able to actually buy your home. Your agent will also be available to review the written offer to make sure that it is written in a proper way and covers the necessary areas. To really gain some insight into why potential buyers are pursuing the purchase of your house and how they might proceed in the negotiations, it is important to know as much about the buyer as possible, especially their motivation for buying. Once both parties have reached a point where the deal is acceptable, you must be certain that you have a legally executable contract. Once you have accepted an offer to sell your house you will need to make a list of all the things you must do, and a list of all the things the buyer must do, in order to proceed successfully to closing. The property may need to be formally appraised, surveyed, inspected or repaired. Depending on the specifics reached during the negotiations, you may pay for all, some, or none of these items. If each procedure returns acceptable results as defined by the contract, then the sale may continue. If there are problems with the property the terms set forth in the contract will dictate your next step. Depending on the contract, you or the buyer may decide to walk away, open a new round of negotiations, or close. Your agent can save you time and money by coordinating all the necessary items that must be done to finalize the sale. Your agent will be directly involved and keep you informed as to the results of each action and what effect, if any, it will have on the sale of the property. He or she will also help you coordinate any actions you must take to keep the sale moving forward. There are some sales that go smoothly and some that require a lot of work to get to the closing table. Until you get into it, you won’t know which one you have on your hands. Either way, your agent will be prove to be a valuable resource to you. A few days before the closing you will want to contact whichever entity that is closing the transaction and make sure that all of the necessary forms and documents have been prepared and are going to be available to sign on the appropriate date. It would be a shame to get this close to selling and have the deal fall through because of a document not being at the right place at the right time. You should also begin to make arrangements for your upcoming move if you have not done so. Check out our Relocation Center to get started. Your agent can save you time and money by making sure that all of the necessary documentation is prepared for closing. They will also make sure that all parties have done what they need to do so that the closing can proceed at the date and time planned. This is where ownership is legally transferred to the buyer. As the seller you will need to be prepared to give over any necessary documentation regarding the property and, depending on the arrangements made during negotiations, you may be required to have done something specific in order to close. Be sure and read all the documents. Mistakes are more common than you might think. Your agent can save you time and money by being present during the closing to help explain the process and forms to you and make sure everything goes as planned. By being present during the closing, they mediate any last minute issues that may arise. Something always seems to come up! Congratulations on the successful sale of your home. Hopefully, everything went smoothly and you will be vacating your house in the time frame that you had anticipated. You should make a list of all the items you will need to do to turn the property over to the new owners. You will need to do such things as make sure that all of the local services (i.e. electricity, gas, lawn care, cable, etc.) have been canceled or, if the new owner is going to retain some of the services, the name for the account should be changed. The property and anything assigned to the buyer according to the contract, should be prepared appropriately for the new owners. An agent will save you time and money by helping you coordinate your move. They can help you develop checklists that you can use to make sure that everything is done so that your move goes as smoothly as possible. Ready to put your house on the market? Fill out this form and our agents will work with you to get the most out of your asset.